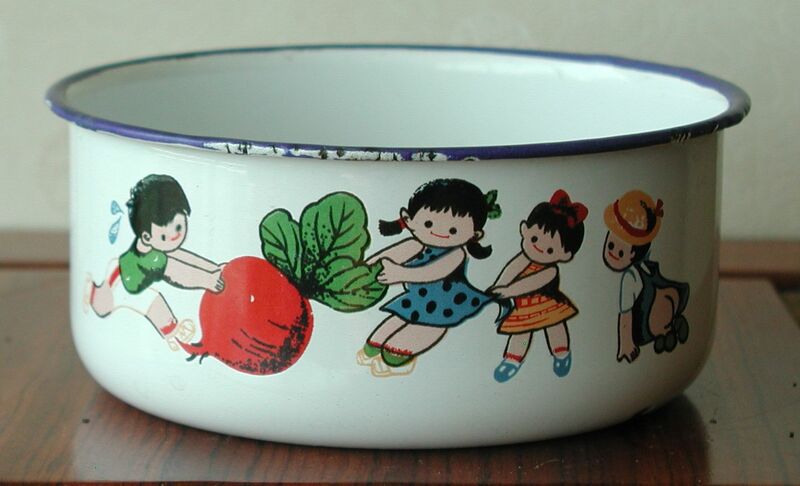 This bowl, although not from the Cultural Revolution era, is a nice example of what was produced expressly for children. 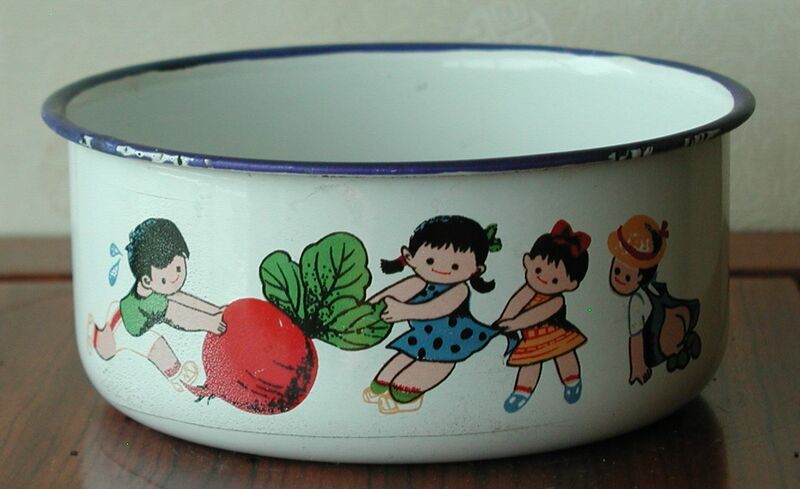 The bowl is 14.5cm (5.75 inches) in diameter and 6cm (2.5 inches) deep. 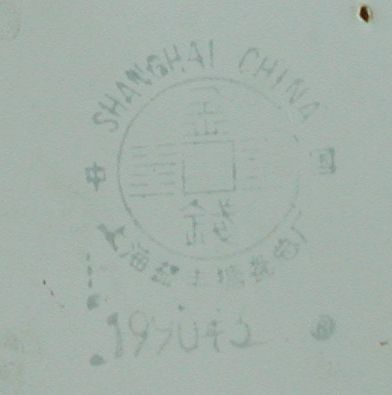 It was produced by the Yifeng Enamel Products Factory in Shanghai in March 1990.